1. 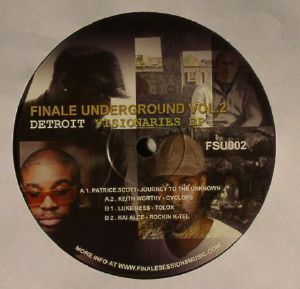 Patrice Scott - "Journey To The Unknown"
2. Keith Worthy - "Cyclops"
1. Luke Hess - "Tolox"
2. Kai Alce - "Rockin K-Tel"
REPRESS ALERT: For those turned on by the far-sighted, sci-fi inspired sounds of Detroit deep house and techno, this EP from Michael Zucker's Finale Underground imprint (an offshoot of his Finale Sessions label) should be an essential purchase. 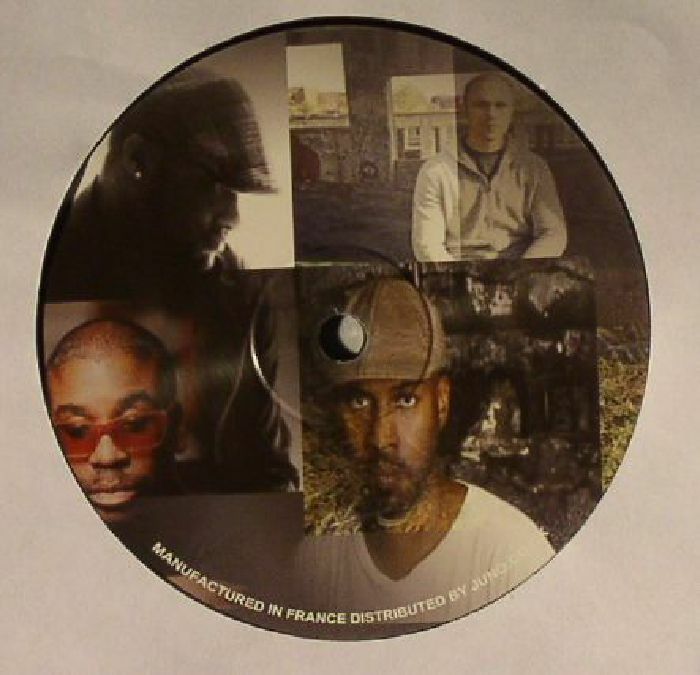 With the likes of Patrice Scott, Keith Worthy and Luke Hess involved, you'd expect the quality threshold to be high. It is, of course, resulting in a quartet of killer tracks. Hess' hypnotic techno jam "Tolox" is a definite highlight, though it pales in comparison to the analogue futurism of Keith Worthy's brilliant "Cyclops". Best of all, though, is Scott's "Journey Into The Unknown", which bobs, weaves, bubbles and spits to the rush-inducing deep house sound of undulating synthesizer melodies and classic, Transmat-style Motor City rhythms.